The Victoria and Albert Museum (V&A) has a large collection of Chinese export paintings from the 18th and 19th Century painted by artisans from Canton and other Chinese ports, often sold as souvenirs to Europeans and later Americans. They typically depict contemporary life in China, illustrating the various trades, costumes, boats, birds, insects and plants aimed at satisfying foreign customers and their curiosity (and perception) of China. 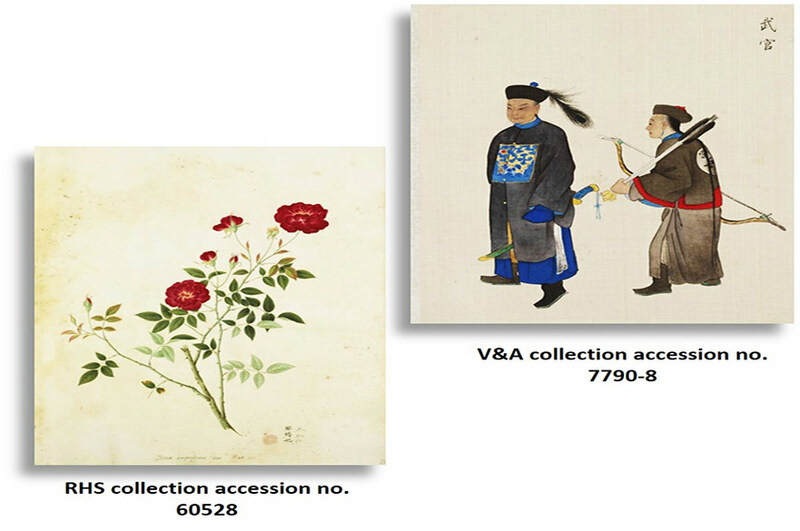 These paintings are valuable for the study of trade and cultural exchange between Britain and China in the 18th and 19th Century. There is considerable interest in these paintings among researchers studying the economic and cultural history, international trade and cultural exchange of that epoch both within the UK and internationally. A number of museums, libraries and charities in the UK have similar collections. Internationally, collections of this type exist in continental Europe, Russia, America and Asia. While the majority were painted as souvenirs for tourists, some were painted for scientific research, documentation of 'industrial arts' and other professional interests. 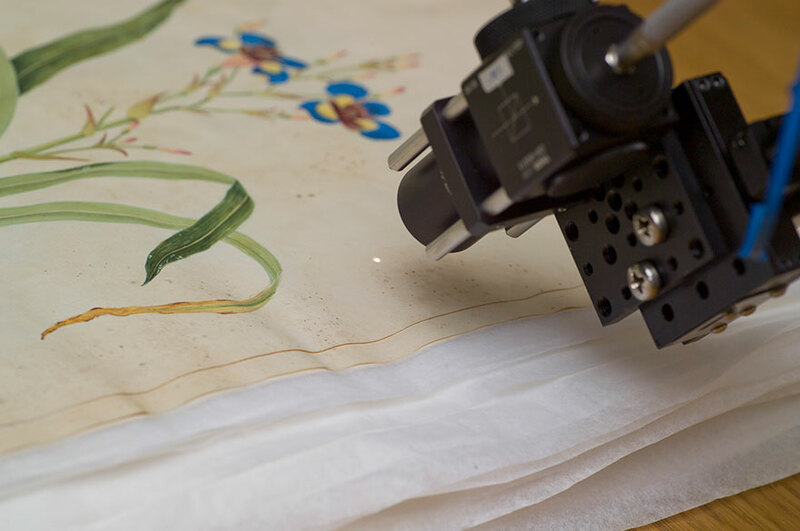 The Royal Horticultural Society (RHS) owns a large collection of early 19th Century Chinese watercolour paintings of plants known as the Reeves Collection. These were commissioned by the RHS. Chinese artisans in Canton and Macau were supervised by the RHS representative John Reeves to accurately paint plant species to serve as a plant catalogue. This collection is different in that the paintings were scientific drawings and they were well documented in the RHS Minutes as well as being intermittently recorded in Reeves' two notebooks. The paintings are, therefore, confidently dated. The paper substrates were largely imported from England (watermarked Whatman paper) and the watermarks agree with the documented dates. Reeves also recorded the names of the artists which was rare for Chinese export paintings. A systematic study of the painting techniques and materials related to these paintings will not only give a fuller picture of these objects but also help us understand the extent of trade and cultural exchange between China and Europe. While there is considerable curatorial interest in the historical study of Chinese export paintings, there have been relatively few studies involving scientific analysis. 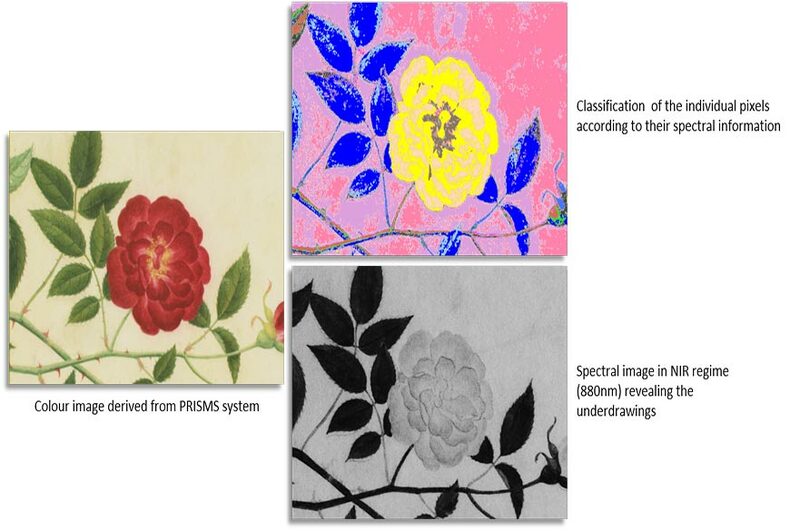 This is not surprising because paper-based works of art are fragile and the paint layers are rather thin making it impossible to take samples without causing significant damage, which is why most institutions, especially libraries, do not allow samples to be taken from paper-based objects. Consequently, destructive scientific analysis can only be conducted on residuals fallen off the paintings, which may not be representative of the objects on the whole. With the development of imaging science and technology, it is increasingly possible to conduct effective scientific examination non-invasively. 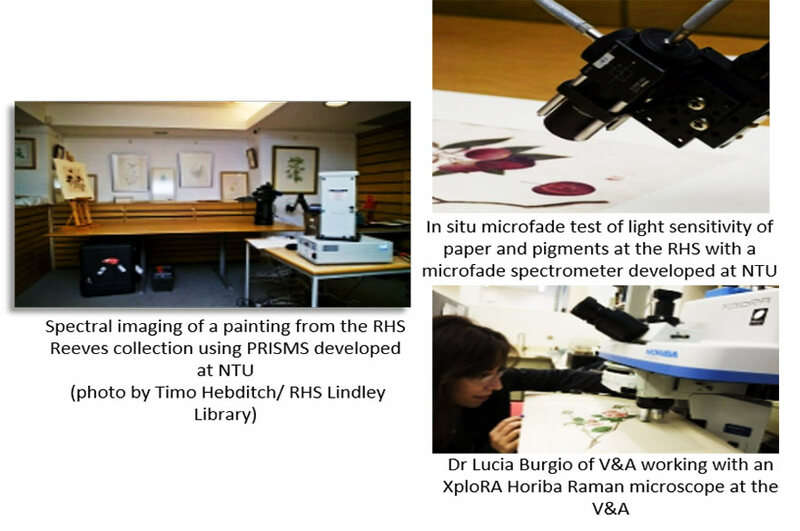 This project addressed art history and conservation research questions through the application of novel imaging technology developed in the Imaging Science for Archaeology & Art Conservation research group at Nottingham Trent University in past research council funded projects (such as multispectral imaging, microfade spectrometry and optical coherence tomography) in combination with complementary non-invasive spectroscopic techniques such as Raman microscopy and X-ray fluorescence (XRF) spectroscopy. BAILEY, K., BELLESIA, S., BURGIO, L., BROOKS, C., LUCIAN, A. and LIANG, H., 2014. Chinese export paintings. V&A Conservation Journal (62).